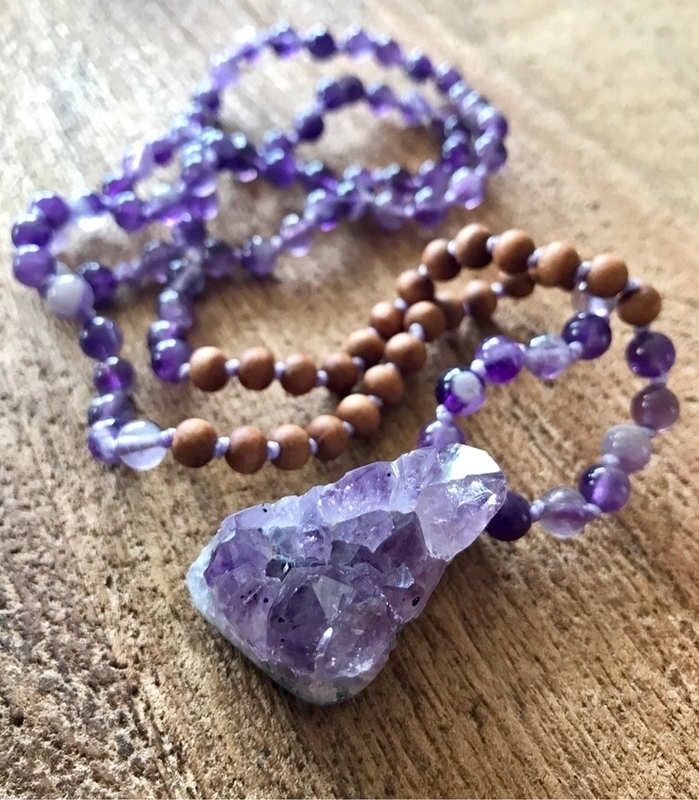 Amethyst Mala available now on findyourshakti.com ✨ Amethyst expands the higher mind and enhances one’s creativity and passion. It is said to be a stone to aid in stress relief, protection and spiritual growth. It rids negative energy and attracts positive energy. It helps alleviates sadness and loss, and helps keep you grounded.